I have been interested in birth for as long as I can remember. As a young teen I knew I wanted to provide the same kind of quality, personalized care that I saw my mother receive during her pregnancies with my younger siblings. 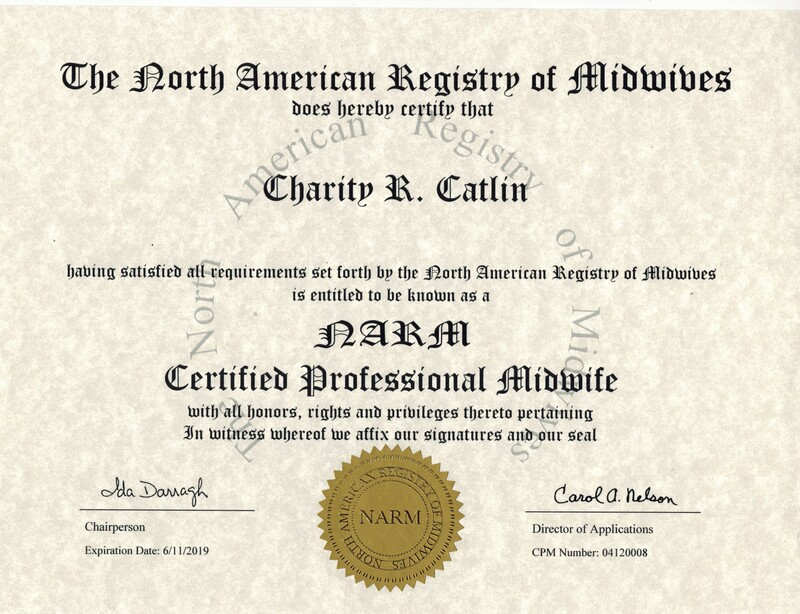 I attended my first birth in 2000, and completed my formal academic and clinical training in 2004, passing the North American Registry of Midwives (NARM) exam to become a CPM (Certified Professional Midwife). 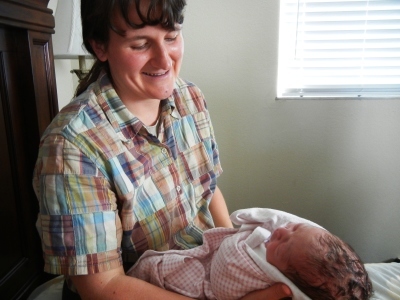 After a short time as a staff midwife at a busy birth center in Texas, I spent 10 years working with midwives in homebirth practices in the Rochester, New York area, where I was grateful to be part of a team providing excellent maternity care. 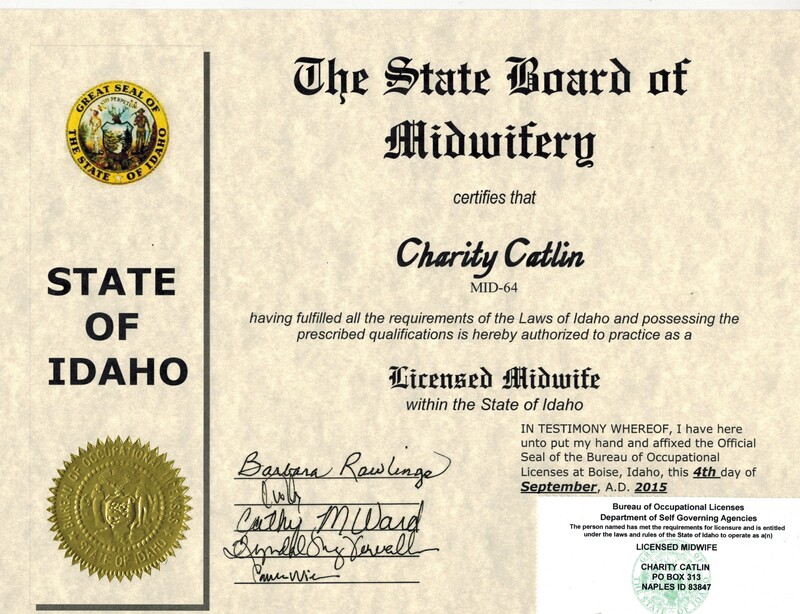 I have been an Idaho Licensed Midwife since 2015 and a Montana Licenced Direct-Entry Midwife since 2018. As a CPM and LM (licensed midwife), I participate in regular continuing education and peer review and maintain certifications in neonatal resuscitation and adult and infant CPR. My husband Jonathan and I are parents to seven children, including a set of twins, who were all born at home with the help of midwives. 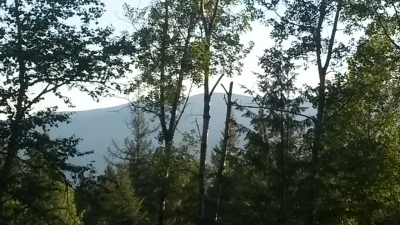 Both born and raised in the rural northeast, we relocated to 6 acres of sloped woods between Bonner's Ferry and Sandpoint in September of 2015. I enjoy providing home birth midwifery services to the women and families of this beautiful area. 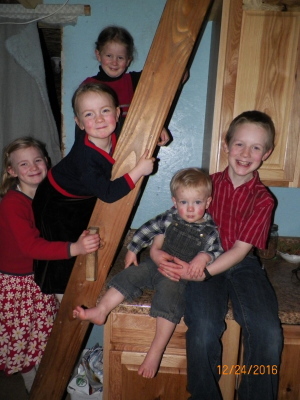 Besides meeting with expectant mothers and their families, catching babies, and admiring newborns, I enjoy gardening, baking, and homeschooling our brood. We are gradually transforming our small piece of land into a working homestead. So far our mini-farm contains heritage and meat turkeys, and a large flock of barnyard mix chickens. Our whole family takes part in midwifery. Our children often help me out the door with a water bottle, a snack, and kisses. Jonathan keeps me outfitted in working transportation, even starting our suburban for 2 am calls, and enjoys opportunities to connect with and support new fathers. God has given me a love for births, and even after attending over 250 birth and spending months and years on continuous 24-hour call, I am always thrilled to drop what I am doing and answer the call of a laboring woman. Yet over the years my favorite part of midwifery has become the opportunity to watch a family grow from that initial prenatal or preconception visit: the building anticipation of the advancing pregnancy; the beautiful, powerful, and amazing climax of birth; the bonding experience of the early days with a newborn; and the blossoming of the new family member through breastfeeding. 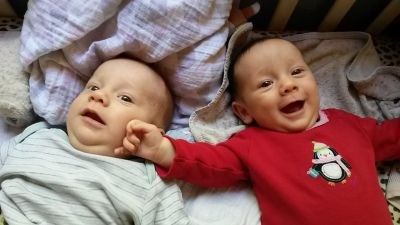 Although formal midwifery care in Idaho is completed at six weeks after birth, I treasure the opportunity to continue to be a resource to the families I serve by offering phone support for questions related to breastfeeding, sleep, solid food introduction, or other concerns that arise as the family grows.